Tweaks Not Available in Settings | Electra Jailbreak 1.0.4 Fix: Electra Jailbreak, still, has not been able to free itself from various kinds of bugs and issues. 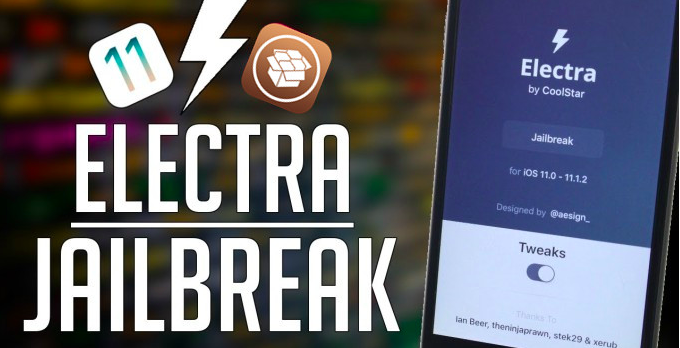 Now, users from all over the globe are reporting a new issue with Electra Jailbreak 1.0.4. Users are stating that even though Tweaks are getting installed through Cydia on their Electra Jailbreak iPhone/ iPad but they are not working and are neither visible in Settings. Luckily! There is a solution for this. 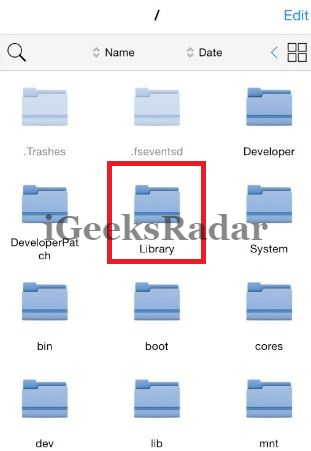 Although the solution is not that complex but in case you don’t know and are not familiar with the internal file structure of the iOS operating system then you must refrain from following the process outlined in this post. However, if you don’t care about the consequences then you are welcome to try out the below provided solution to fix the issue with tweaks on Electra Jailbreak 1.0.4. There is an easy method to re install Cydia Electra in any iOS device and you can follow it through by this guide. Read More: [How-To] Re-Install Cydia on Electra Jailbreak iOS 11.1.2/11+ Devices. First of all you need to install Filza Escaped File Manager on your iOS device. You will be requiring to download Cydia Impactor for the purpose and side load Filza on to your iOS device. Inside this location you will see a folder named as TweakInject. Please rename this folder from TweakInject to TweakInject(1). Thereafter, please navigate to the location /Library/ once again. On the top-right an ‘Edit’ button will be visible to you. Hit on ‘Edit’ and thereafter from the subsequent menu please choose the option of ‘More’ from the bottom-right. Once you click on ‘More,’ please tap on ‘Symbolic Link’. Please login to a SSH session from your device using iTerminal application which is readily available on the Official App Store for download. IP Address: Wi-Fi IP Address of yours. You are required to re-spring your iOS device using the SSH Terminal. Once you are connected to SSH please type in the following command: killall SpringBoard and hit ‘Enter’ key. That’s it! Please reboot your iOS device once you are over with all the above-mentioned steps. You can easily get rid of the Topanga Error in the Electra by following this guide. Read More: [How-To] Fix Error: Topanga in Electra iOS 11/11+ Jailbreak. Once you have rebooted your iOS device your tweaks will start showing themselves up in ‘Settings’ and they will start working too. Even if you install a new tweak from now on, you are not required to follow the above-mentioned process again as it will automatically start working and wouldn’t pose the same problem. In case the process doesn’t works for you or you get stuck up somewhere please drop in your issues in the comments section below. We will look into them for you. Download & Install Icy Installer 3 on iOS 12/11. Jailbreak iOS 10.3.3 With doubleH3lix Jailbreak (iPhone/ iPad).